Natatorium and indoor pool room dehumidifiers: Desert Aire’s full range of dehumidifiers effectively removes moisture from the air to provide a comfortable environment for occupants while eliminating conditions that can contribute to mold growth and the deterioration of the structure and furnishings. Industrial and general purpose dehumidifiers: These specially designed industrial dehumidifiers offer around-the-clock operation, minimal maintenance and high energy efficiency. Ice and hockey rinks defoggers: Desert Aire’s LT Series ice rink units consistently keep space humidity low while their innovative automatic hot gas “defrost-on-demand” technology ensures proper performance at the low temperatures. You can also control ventilation air humidity before it enters the space with the Total Aire Series. Supermarket and retail dehumidifiers: Desert Aire helps resolve challenging humidity and temperature problems with specially-designed, energy-efficient dehumidification equipment for supermarkets and large retail stores. Small and portable dehumidifiers: Damp basements and stock storage areas, fire and flood restorations and carpet drying present excess moisture problems and a need for dependable drying solutions. Desert Aire solves these humidity problems with durable HPR Series dehumidifiers. Indoor air quality systems: Choose from a range of Outdoor Air and Exhaust Air Energy Recovery Systems for schools, office buildings, extended care facilities, libraries, etc. Call H&H Commercial Services, Inc. at 610-532-8745 for the latest Desert Aire dehumidification and outdoor air solutions. Need a better solution for your company’s dehumidification system? Not sure which package is best for you? One of our licensed and experienced technicians will be happy to discuss which Desert Aire dehumidification options will fit your requirements and your budget. With our high quality, fully customizable designs, you are guaranteed to get a system that works flawlessly for your space. 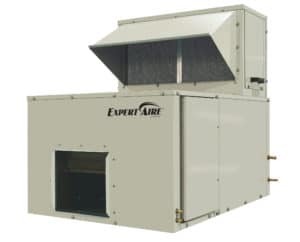 Why come to us for Desert Aire systems? Plus we have a skilled maintenance and repair service to keep your dehumidification systems working efficiently. All systems are installed by factory-trained technicians allowing problem-free operation for years to come. Contact H&H Commercial Services, Inc. today at 610-532-8745 for expert installation, maintenance and repair of Desert Aire dehumidification systems in and around Philadelphia City.